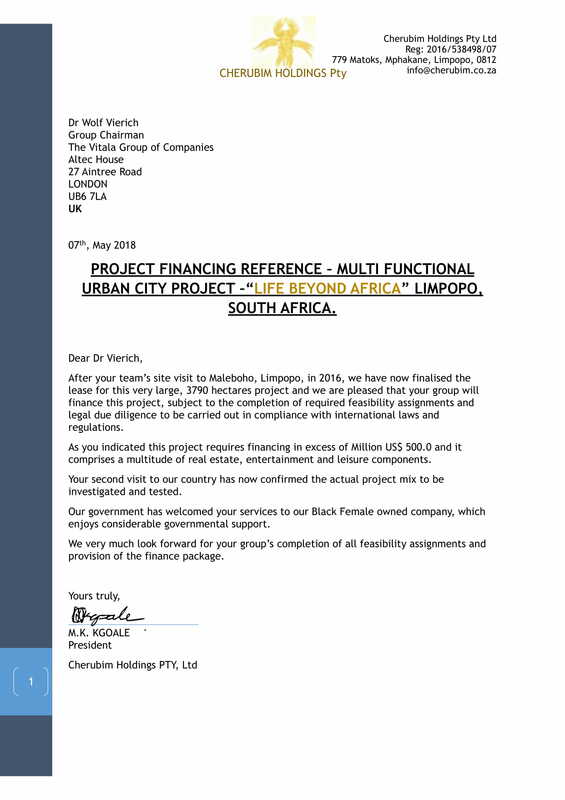 We are very delighted to have worked with Mr Andras Schonek and his partner Dr Wolf from the Vitala Group during their site visit to South Africa. 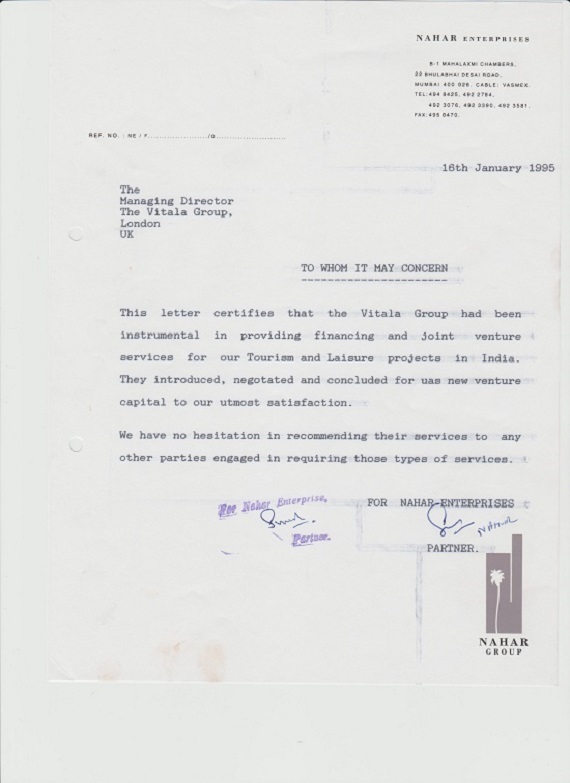 We were their Clients and they helped us a lot. He is much very work orientated, straight to the point,quick to alert and very observant. We were very pleased with his attendance. He pays attention to every detail but yet very understanding. 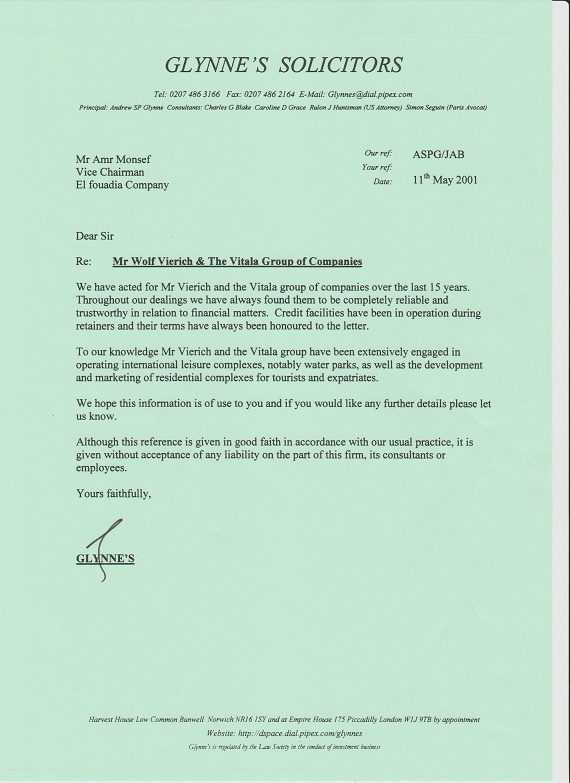 He is excellent at what he does and leave no stones unturned. I definitely recommend Mr Andras Schonek. 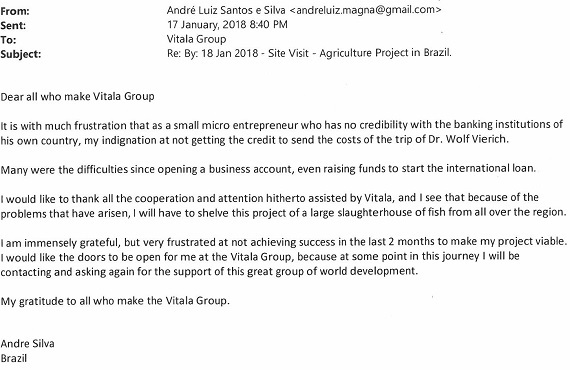 Dr Wolf's talents and abilities are as impressive as his profile denotes. It's a pleasure to be associated with him. 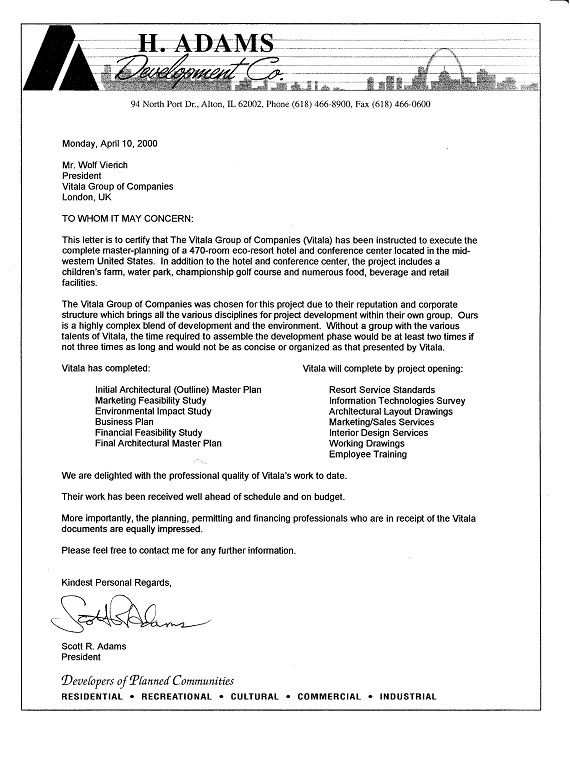 I have known Dr. Wolf Vierich for over 30 years by now. 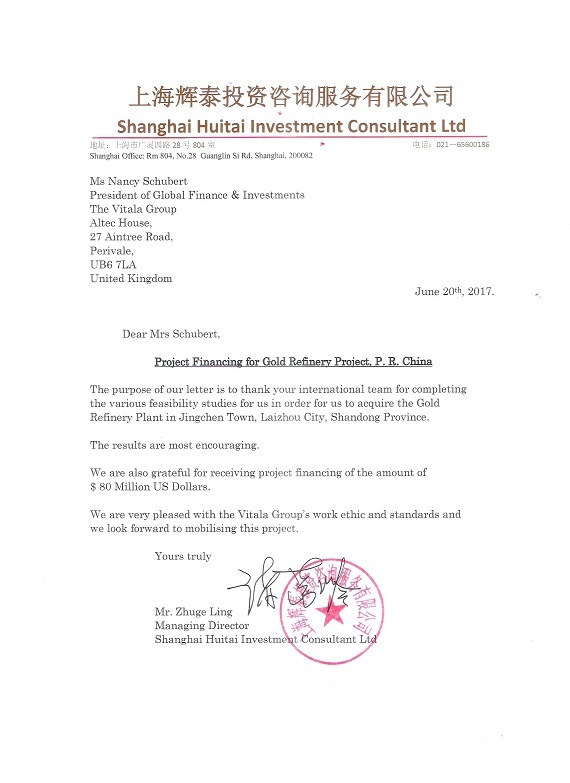 During this period of time, Wolf has been continuously growing his global business interests and his international connections by providing project finance through his Vitala Group Companies, management and consultancy services, project development as well as business management of highest standards. 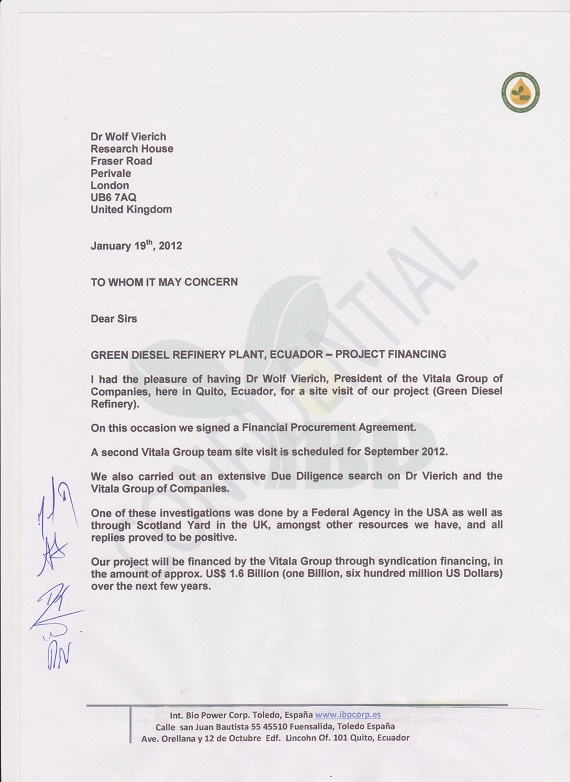 Dr W Vierich and his companies are the only worldwide financiers of multi purpose projects worthwhile to be approached. 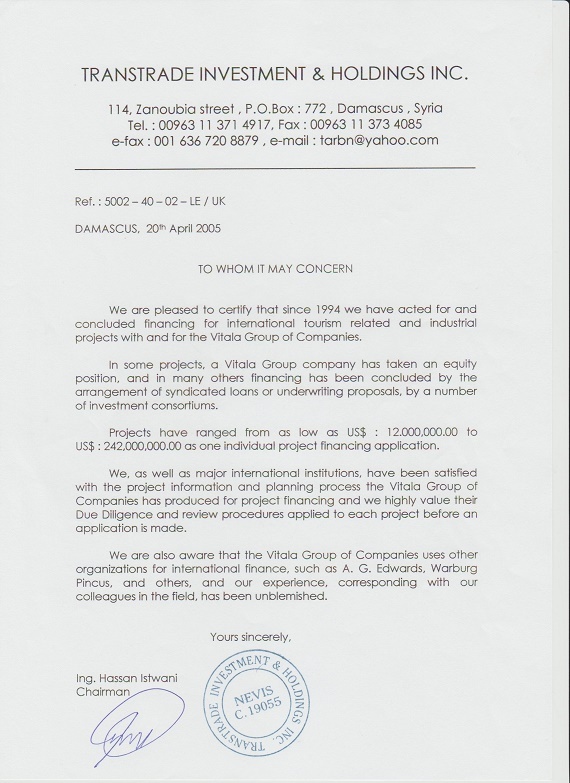 Having failed for many years, to obtain project finance from organisations like, the ECB and the European Development Bank, we turned to The Vitala Group and were able to finance our first project application in Turkey, in 2008. 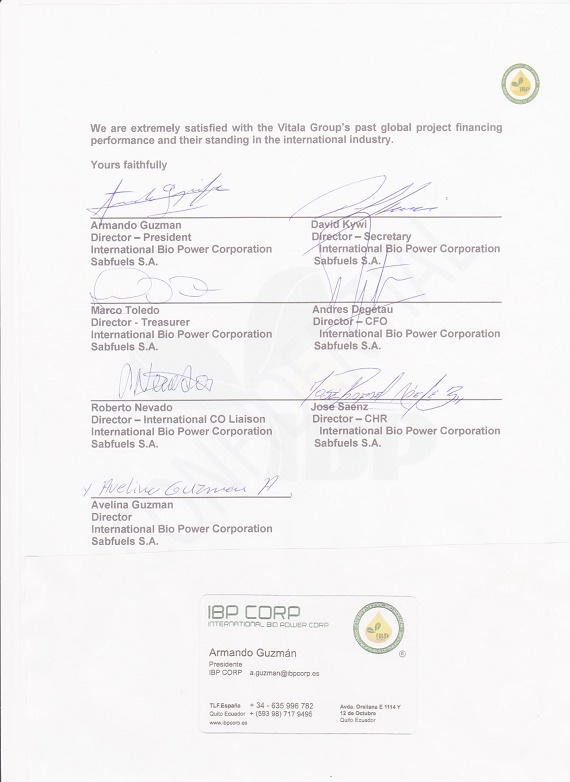 Mr. Schonek and his VITALA Group become estimated of me as extremely competent partner within the project financing range. 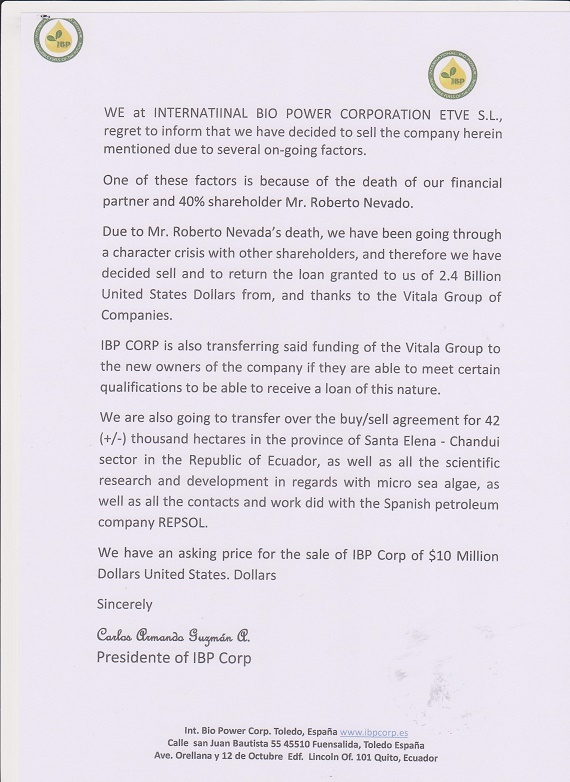 By their financing possibilities they could mean customers with their projects to help. Thank you for it. 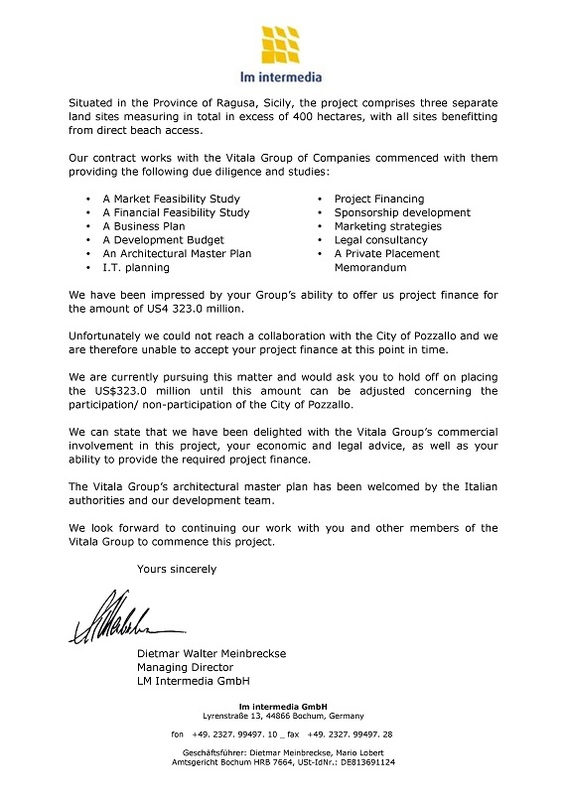 In the future Mr. Schonek and The VITALA Group will be my first partner in project finance. I strongly recommend him. 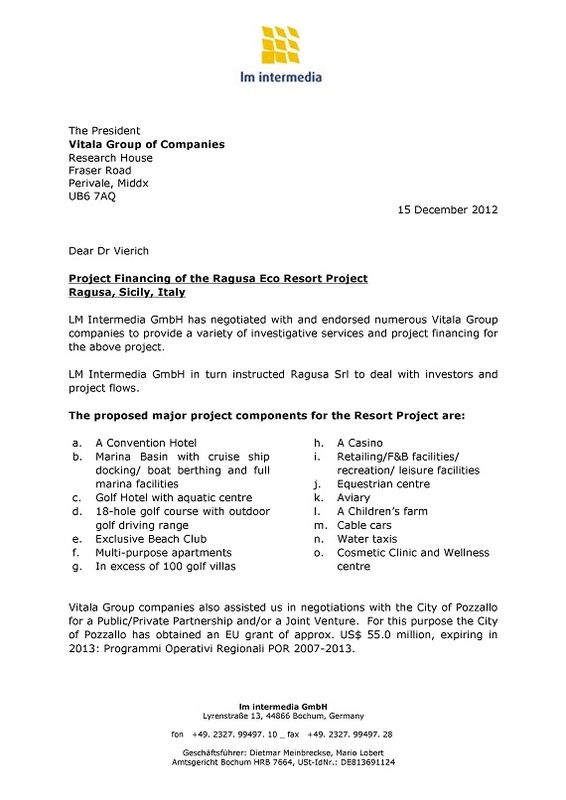 Wolf Vierich has a keen eye for seeing great opportunities in leisure attraction developments. 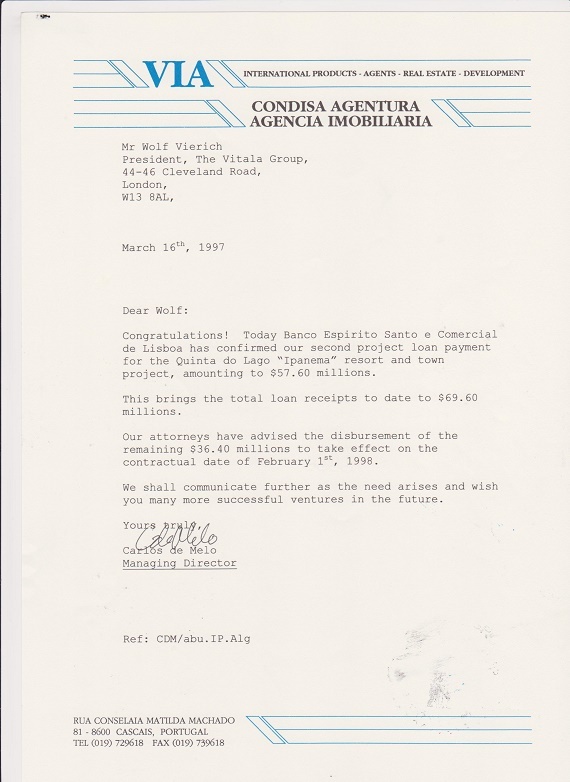 He operates world wide and has been instrumental in putting together deals in approaching 60 countries. 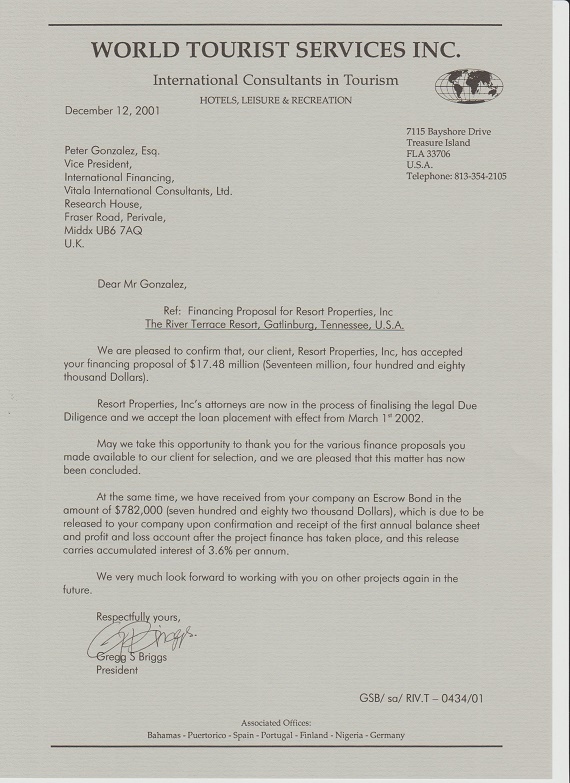 He is probably the world's leading leisure development financier. 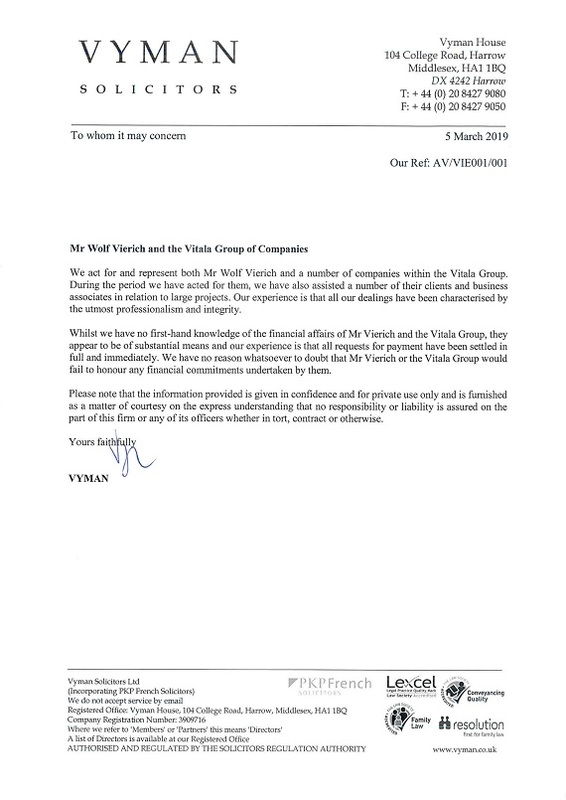 Dr. Wolf is founder and head of The Vitala Group, a highly professional group of companies that I have dealt with for many years. 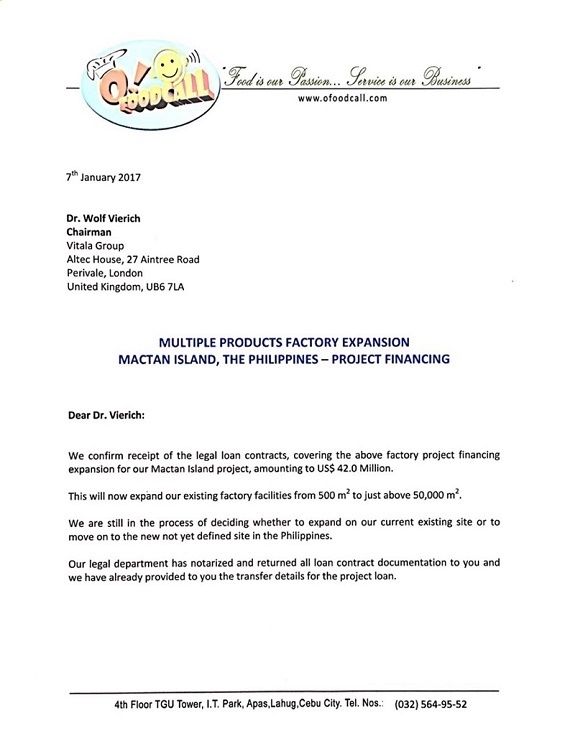 His Vital Group offers extensive capabilities world wide for many businesses enterprises and particularly for themed entertainment projects. 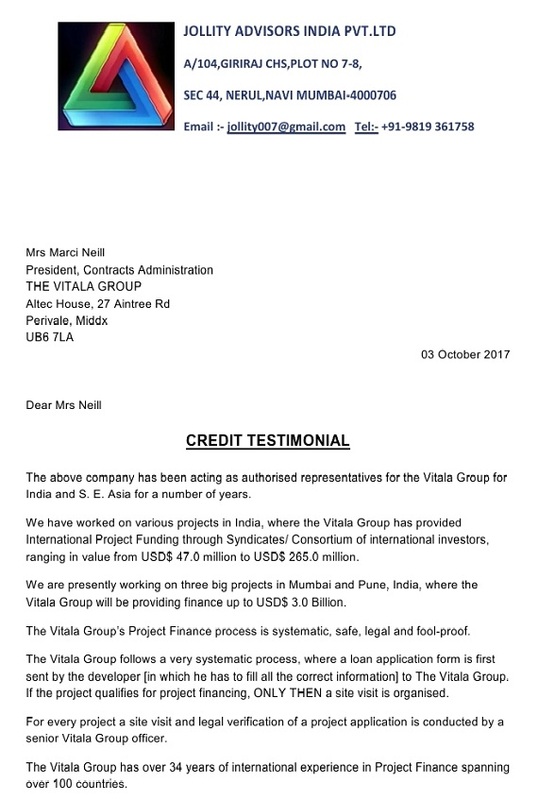 Dr Wolf Vierich and his Vitala Group companies, assist us, since three years, in the project formulation, feasibilities determination and exclusive project financing, of one of the world’s largest Resort development project, estimated at US$ 45 billion. : “The City of Alzaman”, situated in Southern Morocco. 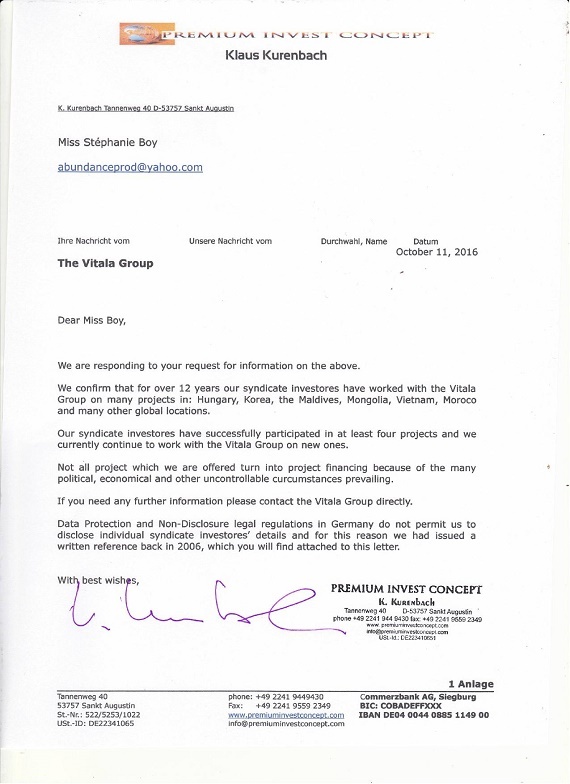 His Vitala Group companies are the world’s largest project funders in the areas of Tourism, Themed Entertainment and Leisure, besides many other industry related projects, acting in over 82 countries since 28 years. 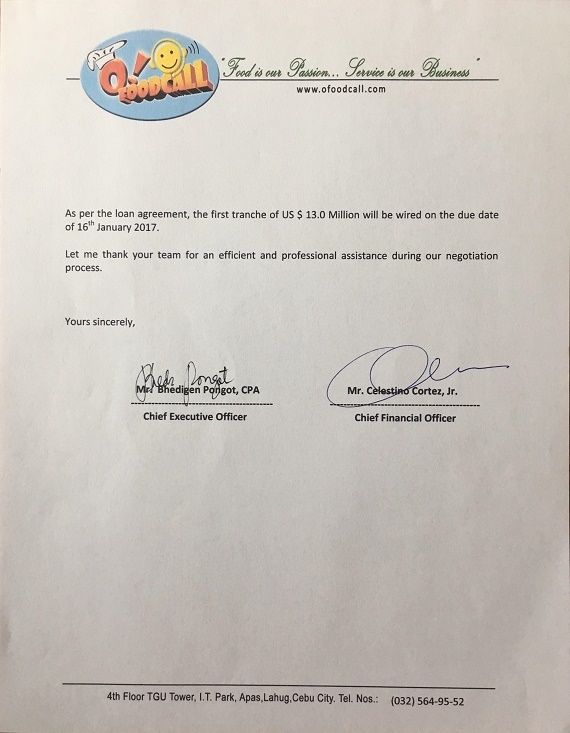 Their professional integrity and reputation is unique. 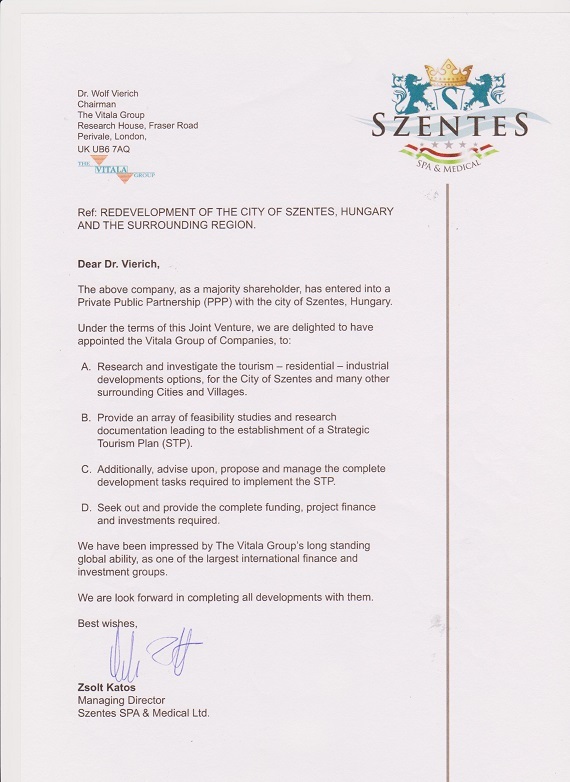 I have met Dr. Vierich personally as a potential investor and advisor for a huge touristic project which Injaz Invest Ltd. is going to realize in West-Africa. His broad knowledge, cognitive and emotional intelligence impressed me a lot. I have been dealing with many top-managers and entrepreneurs in my life. 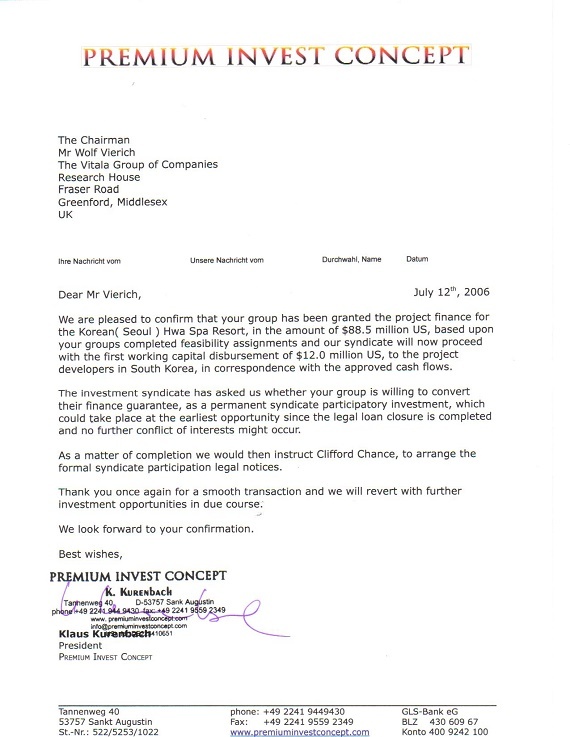 Dr. Vierich's excellent and outstanding personality is unique even compared with many of them. It is pleasure for me cooperating with him in the long-term. 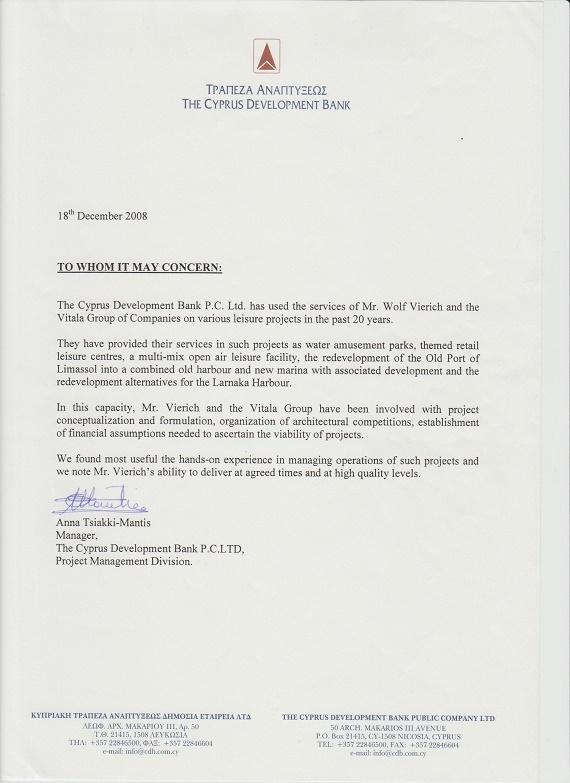 I have met Dr W. Vierich over 3 years ago, when his Vitala Group was instrumental in project financing a very large Austrian Tourist project for me, here in Neckermarket. 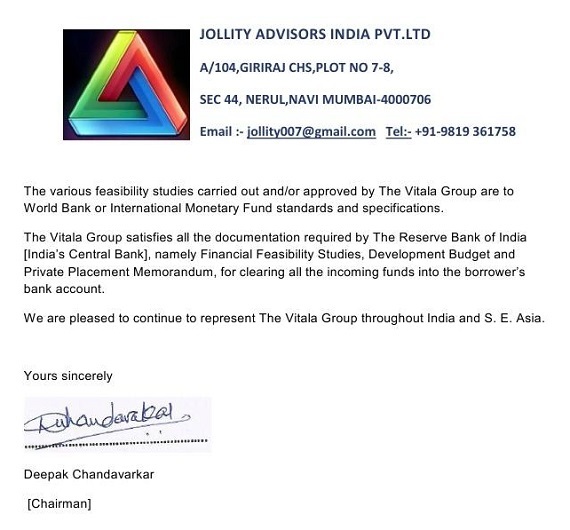 There have been bureaucratic delays since, and I am pleased to have his group completing our project finance. 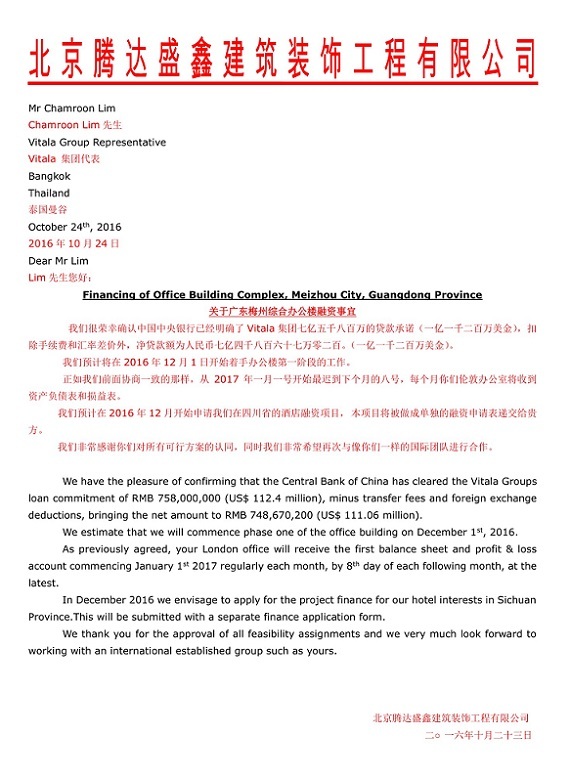 I have found Dr W. Vierich to be extremely competent, professional and qualified in the field of global financing finally. His personal record of achievements, all over the world, is truly impressive. 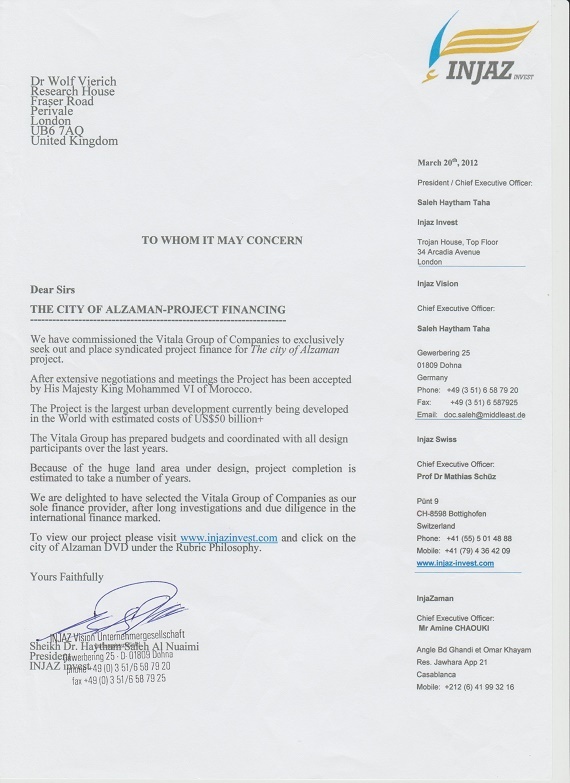 I am involved as General Manager in the Company InjaZaman in Morocco for the Development of the Mega Project Alzaman in Dakhla (www.injazinvest.com) Witch the Whole Finance (50 Billions Dollards) arranged throw Dr. Wolf Vierich as Chairman of the Vitala Group. Dr. Vierich is very Professional in the Tourism Brunch. He met very Important Persons in the Government of Morocco and he inspired them throw His knowledge and his kindly nature. Also His honesty and his openness for any new idea make him very popular in Morocco. I am very proud to work with him.